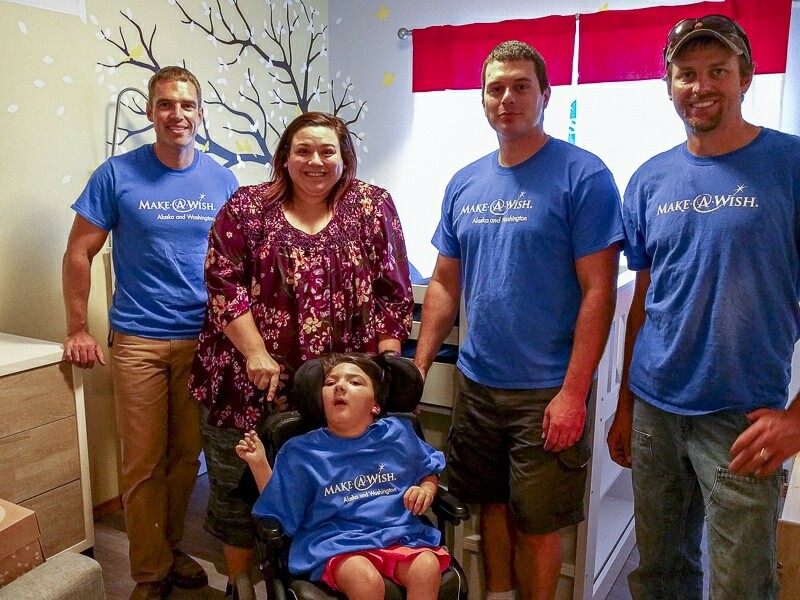 As a long time supporter of the Make-A-Wish mission, Six Walls has been a part of over a dozen room wish makeovers. 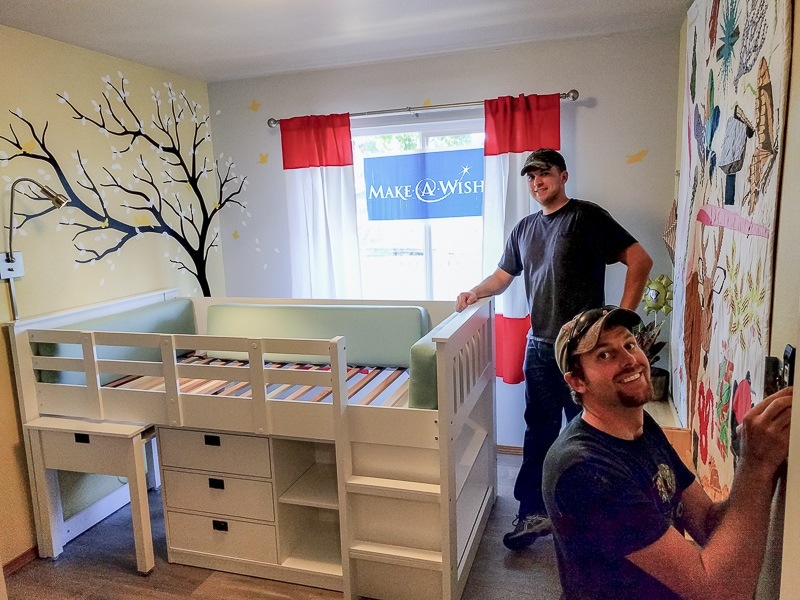 This project kicked off in May 2017, when CEO Dawn Wilkinson started working on this wish with Brandon and Allyn, two wish-granting volunteers in Centralia, WA. 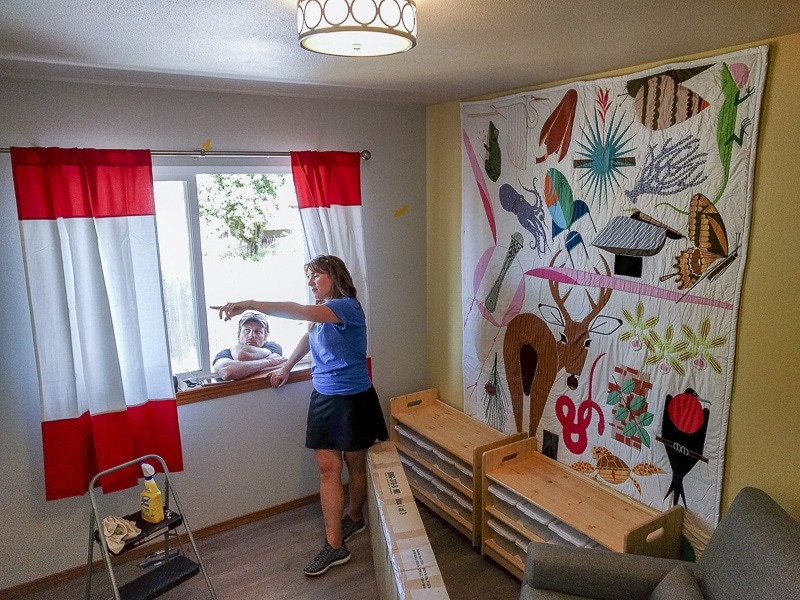 After interviewing the family and learning about their daughter’s physical limitations and visual and verbal challenges, Dawn selected artist Charlie Harper and his graphic & bright artwork as the inspiration for the color scheme and design features in this room. Storage needs, better lighting, and overall ergonomic access in a taller and larger bed were critical design needs. 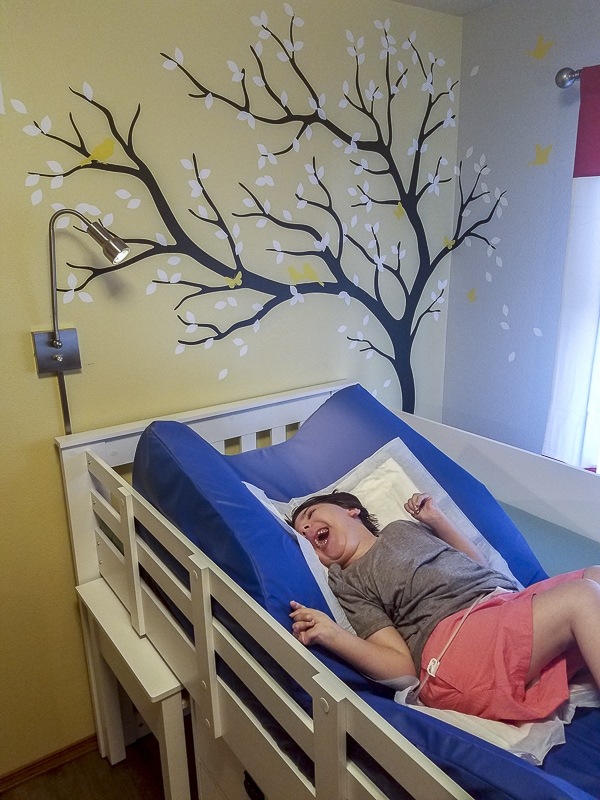 The majority of the furniture and decor items for the room were donations from the Mine, who provided the bed, dresser, rocking chair, light fixtures and storage solutions for the room, while Land of Nod provided the bedding & window coverings. Dawn was also pleased to be able to use remnant fabric from an outdoor cushions project from a few years back in creating custom bolsters for around the twin mattress. 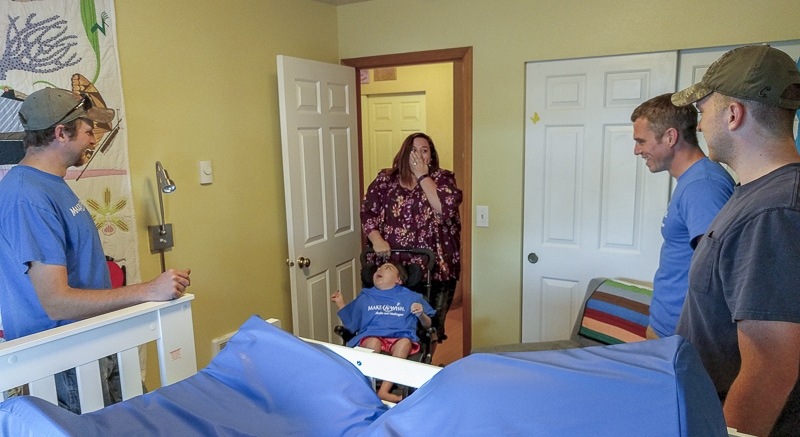 Our good friend and longtime project partner, Allen Carlton and his wife Melissa, stepped in and provided their services and foam materials for these bolsters at no cost for the project! From 9:30 am until 6 pm on a Saturday in mid-August, five volunteers sprung into action. The job included new flooring, application of the large tree wall decal, furniture assembly, shelving & window coverings. Six Walls was there for design direction, and to help the volunteers execute on the day of installation.